A much more in depth treatment of this subject is found in our “The Three Levels of Magisterial Teaching.” The discrepancy in numbering the levels (three vs. four) is explained by the fact that some theologians, apparently following Cardinal Avery Dulles (The Craft of Theology: from Symbol to System), have created a fourth category that is not in the magisterial documents which outline these different categories. Toward the end of this paper, I explain where I think they get this. The four kinds of magisterial statement are (1) infallible dogma, (2) definitive statements on matters closely connected with revealed truth, (3) ordinary teaching on faith and morals, and (4) ordinary prudential teaching on disciplinary matters. The wording of this dogmatic constitution, taken together with what we know of the response due to the second category of teaching, would lead us to assume that the response of “divine and Catholic faith” is exclusive to “infallible dogma.” However, the truths of the next category may also be proposed via these two infallible modes of teaching. I have not seen this problem addressed. The Code of Canon Law makes an important addition to this in Canon 750: “All are therefore bound to shun any contrary doctrines.” Thus, not only are we bound as Catholics to adhere to infallible dogma, we are equally bound to reject what is opposed to it. While this should be self-evident from the wording of Dei Filius, these are times of deep epistemological confusion, when respect for the principle of non-contradiction cannot be taken for granted. The Code prudently emphasizes both the positive and negative parts of this teaching. The document goes on to explain that magisterial pronouncements of the first and second categories may be transmitted to the faithful via the “defining acts” of the Solemn Magisterium or the “non-defining acts” of the Ordinary and Universal Magisterium. Since both of these must be believed with “divine and Catholic faith” according to Dei Filius, there is no question that infallible truth is meant here. III. Citing Lumen Gentium 25, the Catechism of the Catholic Church (No. 892) spells out the nature of a Catholic’s reception of “ordinary teaching on faith and morals”: “To this ordinary teaching the faithful ‘are to adhere to it [sic] with religious assent’ which, though distinct from the assent of faith, is nonetheless an extension of it.” The passage in Lumen Gentium speaks of a “religious assent [assensus religiosus] of mind and will.” Theologians distinguish this from the assensus fidei of the first category on our list. To this category, I would assign the Church’s moral teachings in such rapidly changing areas as bioethics. Dr. D’Ambrosio assigned the Church’s condemnation of artificial birth control to this category. IV. The final category, “ordinary prudential teaching on disciplinary matters,” calls for “external conformity.” Erstwhile Cardinal Ratzinger gave as two examples of such doctrines the nineteenth-century teaching on religious liberty (outlined in Blessed Pio Nono’s Syllabus), and the declarations of the Pontifical Biblical Commission around 1900. This category would include any of the routine publications of the various organs of the Holy See or the bishops in their dioceses. Although none of the documents I studied include this fourth category among the different levels of magisterial statements, it appears to be Avery Dulles’ summary of the contents of Donum Veritatis 24-31. Ad Rem to the subject of contrasts among the various official sources for these categories is the fact that only Donum Veritatis, the “Doctrinal Commentary,” and the two professiones fidei distinguish between the first and second categories. The 1983 Code of Canon Law was modified to include this distinction. These contrasts make the two professions of faith and, especially Ad Tuendam Fidem and Donum Veritatis, more detailed developments of positive theology. Flannery, Austin, O.P, editor, Vatican Council II, the Conciliar and Postconciliar Documents. Collegeville: Liturgical Press, 1980. Interdicasterial Commission for the Catechism of the Catholic Church, Catechism of the Catholic Church, Translated by United States Catholic Conference, Inc. Bloomingdale, Ohio: Apostolate for Family Consecration, 1994. J. Neuner, S.J and J. Dupuis, S.J., The Christian Faith in the Doctrinal Documents of the Catholic Church, Seventh Revised and Enlarged Edition. New York: Alba House, 2001. William G. Heidt, O.S.B., Inspiration, Canonicity, Texts, Versions, Hermeneutics: A General Introduction to Sacred Scripture. Collegeville, Minnesota: The Liturgical Press, 1970. Rom. 16:26, cited by Lumen Gentium25, No. 2. Dei Filius, Chapter 3. Online, available at: http://www.piar.hu/councils/ecum20.htm [accessed 19 April 2006]. Cf. also Can. 750 §1, which says the same thing almost verbatim. Instruction On The Ecclesial Vocation Of The Theologian, No. 23. Online, available at: http://www.vatican.va/roman_curia/congregations/cfaith/documents/rc_con_cfaith_doc_19900524_theologian-vocation_en.html [accessed 19 April 2006]. Pastor Aeternus, Chapter 4. Online, available at: http://www.piar.hu/councils/ecum20.htm [accessed 19 April 2006]. Instruction On The Ecclesial Vocation Of The Theologian, No. 23. Congregation for the Doctrine of the Faith, Profession of Faith and the Oath of Fidelity on Assuming an Office to Be Exercised in the Name of the Church. 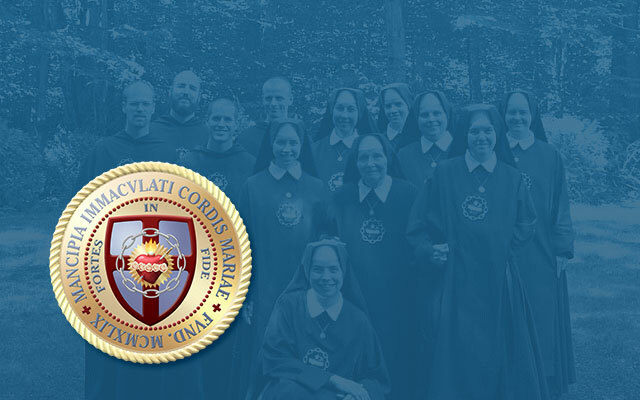 Online, available at: http://www.ewtn.com/library/curia/cdfoath.htm [accessed 24 April 2006]. This is the same wording of the earlier Professio Fidei published by the CDF in 1989 (CF No. 41). Pope John Paul II, Ad Tuendam Fidem, No. 3. Online, available at: http://www.ewtn.com/library/papaldoc/jp2adtu.htm [accessed 24 April 2006] (Emphasis mine). This motu proprio was the organ the Holy Father used to insert the following paragraph into Canon Law, clearly establishing in the Code the nature of this second level of teaching: “Furthermore, each and everything set forth definitively by the Magisterium of the Church regarding teaching on faith and morals must be firmly accepted and held; namely those things required for the holy keeping and faithful exposition of the deposit of faith; therefore, anyone who rejects propositions which are to be held definitively sets himself against the teaching of the Catholic Church.” A disciplinary canon (1371, 2) was added to establish penalties. Similar additions were made the Code of Canons of the Eastern Churches. Congregation for the Doctrine of the Faith , “Doctrinal Commentary on the Concluding Formula of the Professio Fidei,” No. 6. Online, available at: http://www.ewtn.com/library/curia/cdfadtu.htm [accessed 19 April 2006] (Emphasis mine). Cited in William G. Heidt, O.S.B., Inspiration, Canonicity, Texts, Versions, Hermeneutics: A General Introduction to Sacred Scripture (Collegeville, Minnesota: The Liturgical Press, 1970) p. 25.